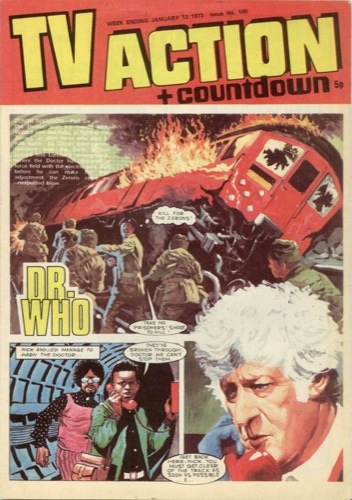 Exactly forty years ago this month, TV Action + Countdown comic had The Doctor continuing his adventure Zeron Invasion, concluding in issue 100. Not strictly Doctor Who related, but issue 100 has an interesting feature about the building of New York’s Twin Towers, including a photo of them being finished off. Issue 101 saw the start of a new story, Deadly Choice – and a massive change to the comic, when the Countdown name finally disappear forever. 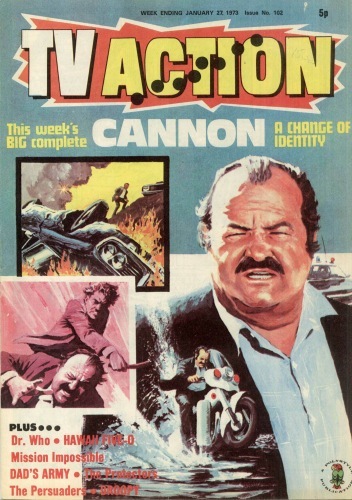 Back in issue 46 the TV Action name was introduced as a byline to the title, becoming Countdown for TV Action. Over the course of future issues, the Countdown name was progressively pushed to second billing. 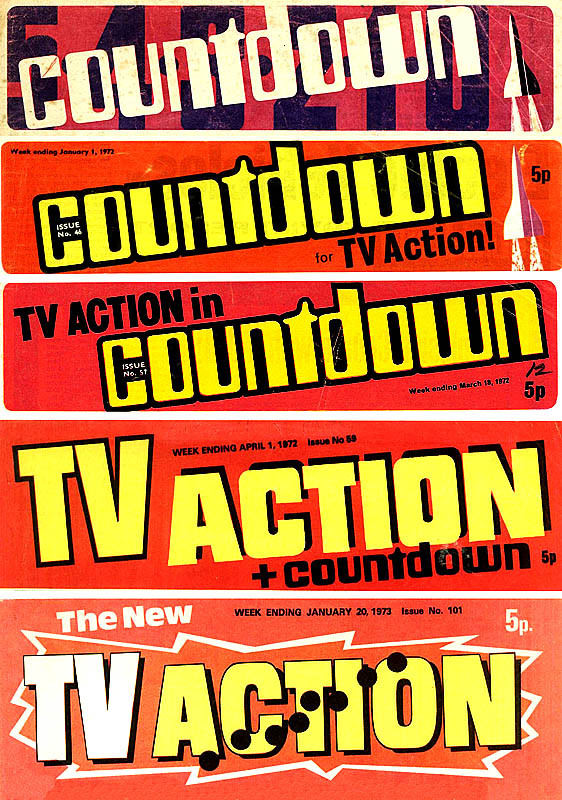 From issue 57 it became TV Action in Countdown; issue 59 saw the title become TV Action + Countdown, with the former taking the prominent place; and from issue 101 it became TV Action outright. 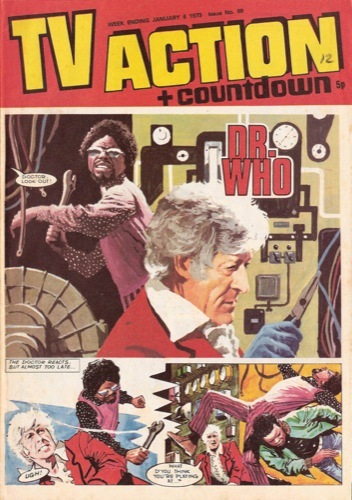 The revamp also saw Doctor Who dropped from its regular place on the cover, having appeared there unbroken for the previous forty-two issues. 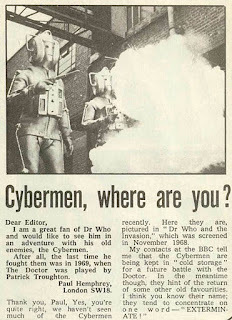 In the letter page of issue 101, reader Andrew McGibbon of Twickenham asked to know how the voices of the Daleks were made. The reply included a call to the BBC Radiophonic Workshop who explained how it was done. The answer makes reference to a picture of a ring modulator in use – but for an unknown reason the picture was not published! 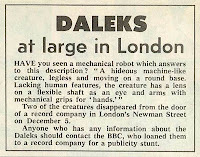 Issue 101 carried news of the theft of two Daleks from outside the offices of a record company on Newman Street on 5th December 1972. The Daleks were on loan to promote the record Who Is The Doctor. 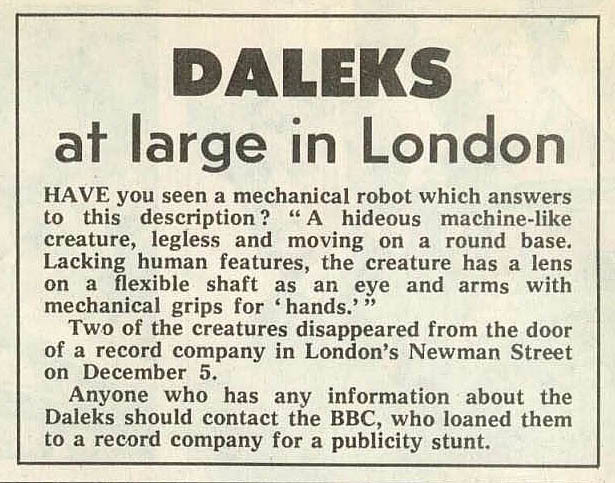 The story carried on in issue 102, with a photograph of one of the missing Daleks. It also outlined the single featuring the voice of Jon Pertwee, printing some of the lyrics. the empty spec that circus time. to seek a truth they never find. 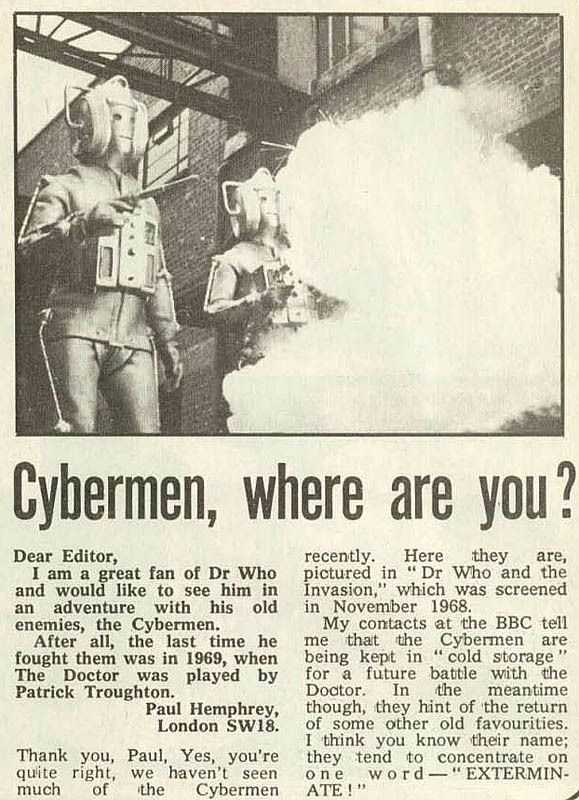 Issue 102 also saw a reference to the Cybermen. It was in the form a of letter from a reader bemoaning the lack of the silver fiends since 1969. Sadly there was no news of their return to report. 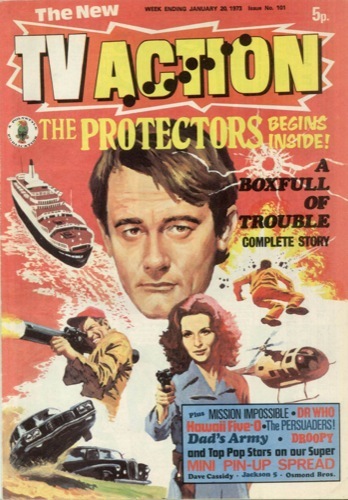 also The Protectors, Hawaii Five-O, Droopy, Mission: Impossible, Dad’s Army, The Persuaders! also Canon, Hawaii Five-O, Droopy, Mission: Impossible, Dad’s Army, The Persuaders!